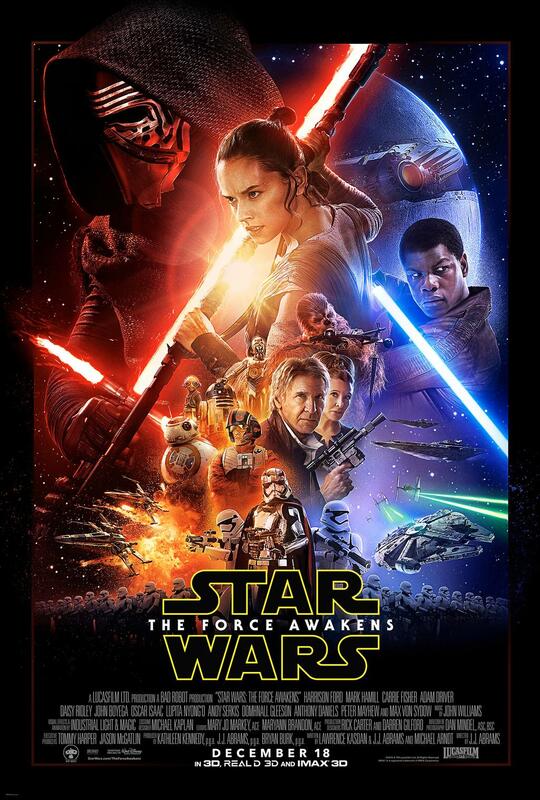 Check out the brand new poster for Star Wars The Force Awakens which has just gone live. In conjunction with the poster, tickets for the movie are going on sale tomorrow and we're also expecting a new trailer around 8pm EST. Take that with a pinch of salt though as ESPN are promising a new look at The Force Awakens, which gives zero guarantee it'll actually be the trailer. The poster itself as rather epic. We get our first look at Maz Kanata (mo-capped by Lupita Nyong'o) just to the left of R2. And we get a glimpse of the Starkiller base.The poster however has a glaring omission. Luke Skywalker is missing for some reason. Looks like our original thoughts a few months back of Luke playing a very small role this time round, are coming to fruition.